The local party scene is ‘lit’ this summer. To help you plan in advance, Loop News highlights 10 events over the period you should add to you calendar. 2. Reggae Sumfest will be held in Montego Bay, St James, from July 15 to 22. Jamaica’s premier reggae festival is a week of parties and performances from some of the top names in reggae and dancehall. Damian “Jr Gong” Marley, Aidonia, Bounty Killa, Spice, Stonebwoy from Ghana, Capleton, Cham and Maxi Priest are all among the star-studded lineup. The week also includes a conference examining the state of the reggae industry. For the past two years, Yanique ‘Curvy Diva’ Barrett has played the role of host for the Reggae Sumfest Beach Party. This year, the ‘Lifestyle’ singer will add performing on the main stage on dancehall night to her list of duties for the festival. “To know that I have put in the work for the last year as a recording artiste and to see that my hard work has paid off that I am now recognised as a female dancehall artiste on one of the biggest stages for reggae music is a wonderful feeling,” she said. There is no pressure, she says, in having to host the beach party and prepare to deliver a set a few days later. “All my roles tie together in entertainment. it depends on what is required of me at a particular time or specific occasion. I am humbled that I am very diverse and can play so many roles,” she said. Curvy Diva is hoping that from the Reggae Sumfest performance, more persons will recognise that she is serious about her role as an artiste and her fan base will be increasesd, especially at the international level. Meanwhile, Kim Nain, who once took on the role as backup vocalist for Tifa at a previous staging of Reggae Sumfest, says she is now preparing to get the full experience of the festival. “Although I will be somewhere in the earlier segment of dancehall night performances, it will add to everything that makes it a great show each year and my personal journey,” Kim Nain said. Kim Nain and Curvy Diva are excited to be two of the five females representing for local women in the industry on Dancehall Night. Kim Nain has been spending more than four hours each day rehearsing for the festival. “It has been a long time coming because I never had the time to put my full focus on my music before 2015,” she said. According to Curvy Diva, the females of dancehall are under-represented not only on the stages of big festivals like Reggae Sumfest, but in the industry. “I would love to see more females stepping up and out representing the industry overall like so many talented females who already paved the way,” Curvy Diva said. Spice, Press Kay and Tosh Alexander the other female artistes mentioned on event flyers to perform on dancehall night. The Online Store is located in North America and will service online orders world wide. 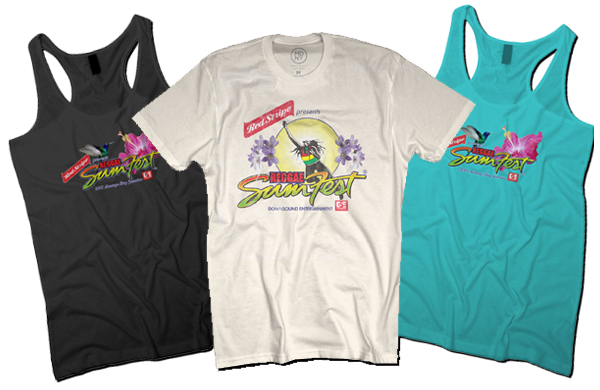 Reggae Sumfest merchandise is featured now, and Downsound will soon, also be offering vintage Sumfest designs from shows over the 26 year history of Reggae Sumfest, plus individual artist merchandise, and Caribbean Lifestyle merchandise… to bring an authentic Caribbean vibe to the world of merchandise. Patrons attending this year’s staging of Reggae Sumfest in Montego Bay, St James, can rest assured that they won’t have to enjoy the music on empty stomachs, as the Pizza Truck Express will be among the vendors supplying mouth-watering treats just as they have done since 2010. Pizza Truck Express, which started its operations in 2009 and joined forces with Reggae Sumfest’s organisers the following year, has over the years successfully provided patrons of the annual musical show with a variety of pizzas and sandwiches to suit every taste. The pizza provider’s menu for this year will include mainstay pizzas that have been available from the days when it started out with a stall at the venue and over time upgraded to its signature truck. Those options include cheese, pepperoni, jerk barbecue chicken, shrimp, and even vegetarian for those seeking a meatless option. Its sandwiches are likewise varied, to include its signature nine-inch ham and salami sub-sandwich and other options such as chicken, turkey, and its newest, beef sandwich. George Lowe, the proprietor of Pizza Truck Express, said that the brand has become a household name in Montego Bay, and even overseas. “We have been going to Reggae Sumfest annually, and we are very popular with the patrons. 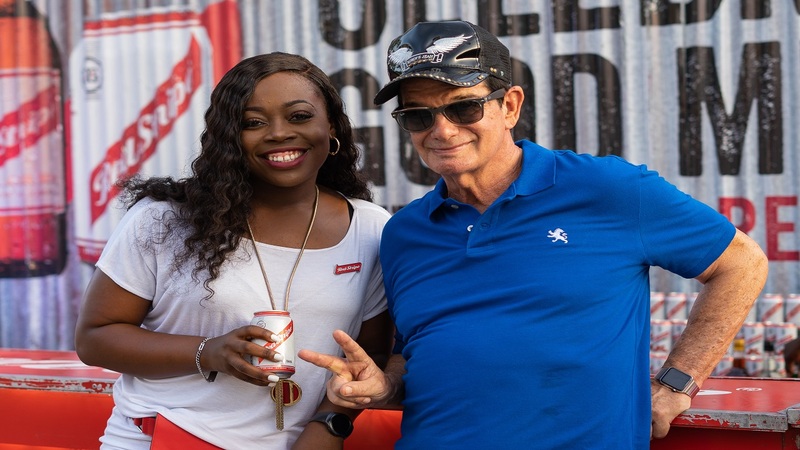 We stand out because the product is local in and around Montego Bay, so therefore, each year at Reggae Sumfest they look out for us,” said Lowe. 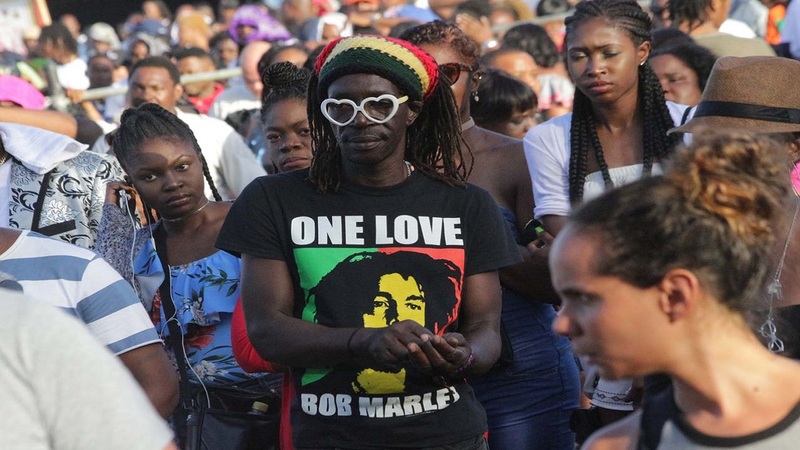 “We have overseas customers who come annually, and the response we get from the customers while we are in there at Reggae Sumfest, is overwhelming,” Lowe added. The 26th anniversary of Reggae Sumfest will take place in Montego Bay, St James, on July 15-22. Capleton the ‘Fireman’ will be closing night two, popularly called Reggae Night, of this year’s renewal of Red Stripe Reggae Sumfest. Several top artistes have been billed to perform on night two of the festival. They include Beres Hammond, Jr Gong, Maxi Priest, Cham, J Bogg, Jesse Royal Jahdore, Fantan Mojah, Empress Ayeola and Raging Fyah. Sizzla Kalonji is expected to give a fiery set on Dancehall Night. The likes of Bounty Killer, Popcaan, Aidonia, Spice, and Masicka are also booked to perform.